Ms. Holloway’s practice is focused on all aspects of civil litigation, including insurance defense, personal injury and contract disputes, and family law matters. Her experience includes numerous jury trials, arbitration hearings, mediations and appellate practice. As a Plaintiff’s attorney, Ms. Holloway has litigated automobile accident and premises liability cases, as well as contract and collections matters. From a defense perspective, Ms. Holloway has expertise in handling all aspects of insurance defense, including premises liability, auto accident, construction related matters and medical malpractice. 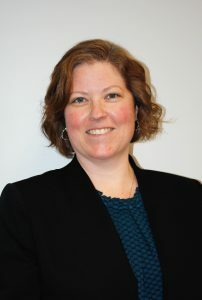 In the arena of family law, Ms. Holloway is prepared to handle dissolution proceedings, including child custody disputes, child support issues, and college contribution proceedings. Our family law team works together to bring years of knowledge and experience to the table. Ms. Holloway’s wide range of practice has led her all over northern Illinois which has allowed her to become familiar with the procedures and judges in many counties. Currently, Ms. Holloway primarily handles matters in Will, Kendall, Grundy, Kanakee and LaSalle Counties.